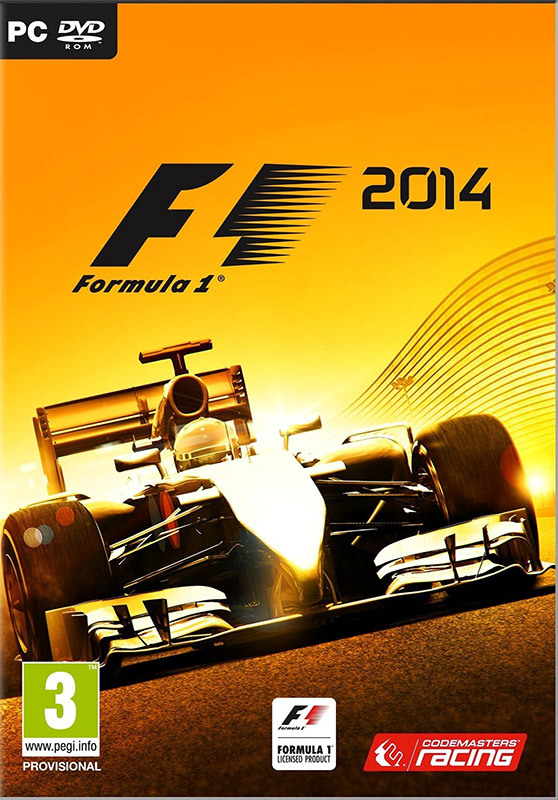 Feel the power of new turbocharged FORMULA ONE™ cars in the most accessible FORMULA 1™ video game yet. Features all the cars, drivers and circuits from the 2014 FIA FORMULA ONE WORLD CHAMPIONSHIP™! ENHANCED CAREER MODES – Play through a full FORMULA ONE season or choose from shorter seasons, including 7 race and 12 race options. Additional Notes: Supported Graphics Cards: •AMD Radeon HD2600 or higher, HD3650 or higher, HD4550 or higher, HD5000 Series, HD6000 Series, HD7000 Series, R7 Series and R9 Series. •nVidia GeForce 8600 or higher, 9500 or higher, GTX220 or higher, GTX400 Series, GTX500 Series, GTX600 Series, GTX700 Series. Intel HD Graphics 3000 or higher, AMD Fusion A8 or higher.